To protect the tablet from moisture and other adverse conditions. To lubricate the tablet to ease swallowing. To create a barrier between the active ingredient and the gastrointestinal tract. To control the release of drugs into the body. 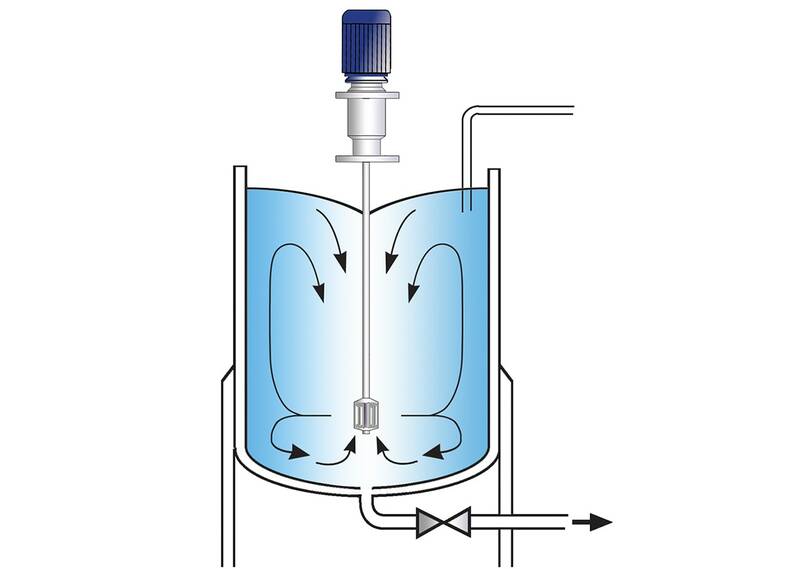 The water/solvent is charged into the mixing vessel, with the mixer positioned off centre to create a vortex. The dry ingredients are added and drawn into the vortex. Mixing continues until the ingredients are fully dissolved. The finished coating is applied to the tablets by spraying in coating pans. 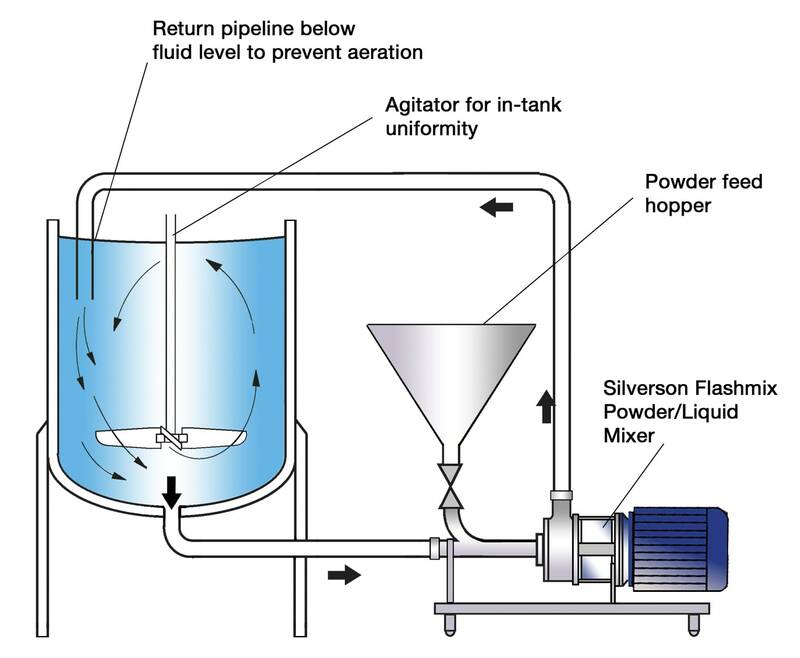 The mixer must be capable of circulating the entire contents of the vessel to ensure uniformity. A wide range of colours are used in tablet coatings and batch sizes are generally small. Equipment must be easily cleaned and ideally adapted to be Cleaned-In-Place (CIP). The mixer must be capable of processing at ambient temperatures as some ingredients may be heat sensitive. 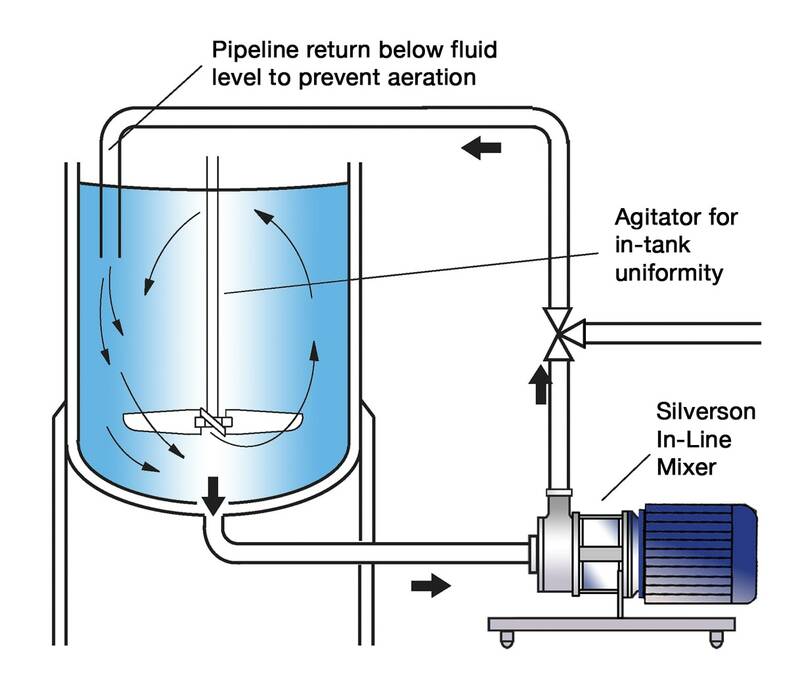 Conventional agitators cannot rapidly dissolve materials at ambient temperatures. Agitators are not capable of rapidly breaking down agglomerates. A low particle size is required in order to avoid clogging of the spraying apparatus. If the colourant is not properly dispersed, flecks of colour can occur in the tablets. The vessel is charged with the base liquid. The mixer is started and the coating granules and other ingredients are added. 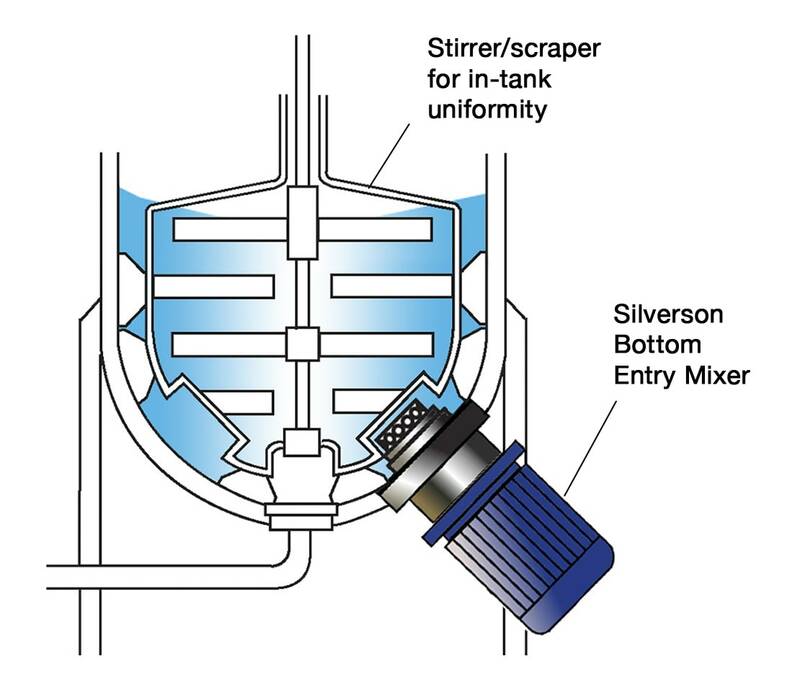 The high speed rotation of the rotor creates a powerful suction which draws the granulated or powdered coating material and liquid into the workhead. They are rapidly mixed and driven towards the periphery of the workhead by centrifugal force. The granules are subjected to a milling action in the clearance between the ends of the rotor blades and the stator wall. Agglomerates are broken down and dispersed. The materials are then forced out through the stator into the body of the mix. Fresh liquid and powdered ingredients are drawn into the workhead. 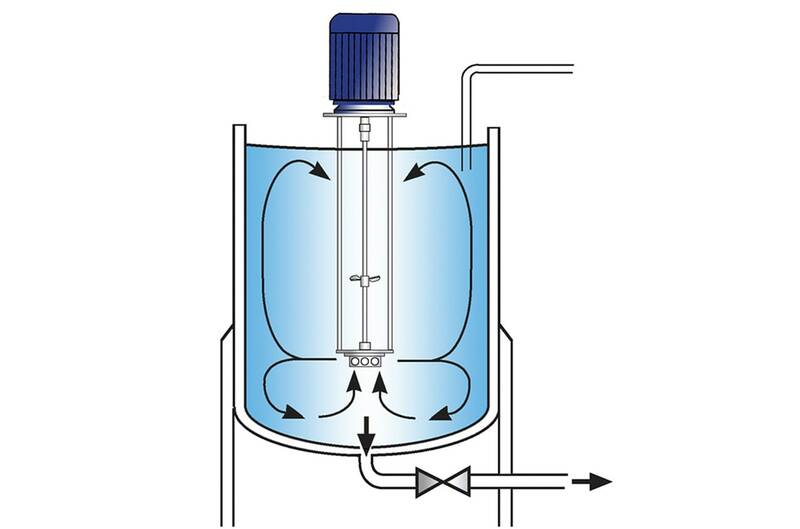 This develops a circulatory pattern of mixing within the vessel which ensures that all material passes through the workhead many hundreds of times, quickly dissolving the granules into the liquid and progressively reducing the particle size. This is achieved without the need for raised temperatures.